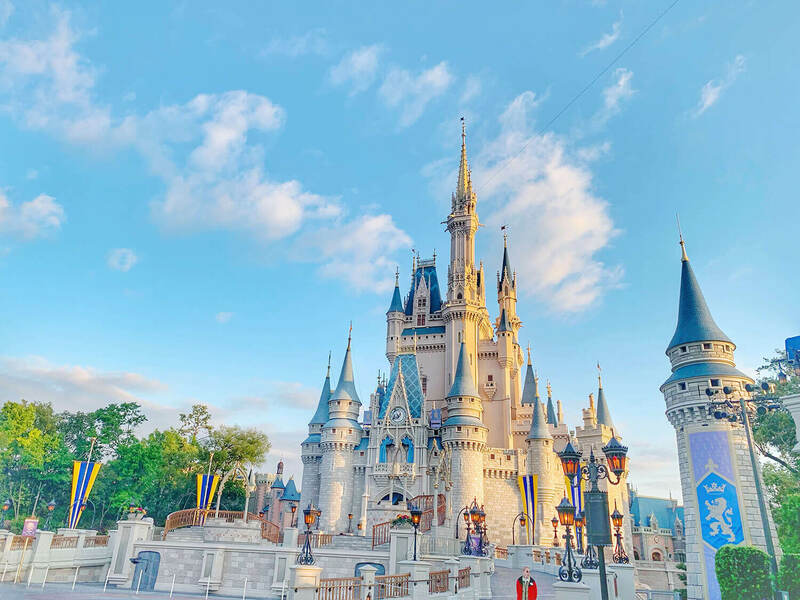 Whether you’re a Walt Disney World beginner or a pro, you’ll learn some great tips to and plans to visit Magic Kingdom. So grab some coffee and settle in, and by the time you finish reading this you’ll know exactly how to conquer your day at Magic Kingdom. Let’s get started! Now let’s learn exactly how to do all of that! First we’ll have to start with a little pre-game strategy because as I said, it’s all about planning in advance. So ideally this process starts before your trip. First, make a list of the top attractions that are your MUST DO’s that get long wait times. This list will be different for each person so I can’t tell you what yours will be, but I can tell you what attractions get the longest lines. GOAL: To get your TOP 8 attractions done with the minimum amount of wait time. Got your top 8 must-dos that get long waits? Good. Now you’re ready to create your plan. GOAL: To get these 8 attractions done with the minimum amount of wait time. We do this by reserving Fastpasses for some of them, and riding the rest of them when crowds are lowest. For those who are brand new to planning a Disney trip- FastPass is a kind of “virtual cue”. It’s a way to book your spot in advance and go to a quicker, shorter line so that you can save yourself some wait time. You’re given a one hour window to arrive at the attraction on your chosen day. Using the Fastpass line really does save a lot of wait time, especially on the really popular rides. The Fastpass system allows you to experience attractions with a shorter wait time by booking it ahead. It’s like a dinner reservation versus just walking in. But using them requires advance planning because there’s only a certain amount of them available for each time window, and once they’re grabbed by others, they’re gone. The way the Fastpass system works as they let you pick three at a time. That’s three in one park, per day. After you use those 3 you can get two more but only once the first three are used or the time window has expired. First, you must have that person linked to your My Disney Experience account. You can use the app or use DisneyWorld.com. Second, every person must have a valid park ticket linked to their name. It won’t let you book Fastpasses for anyone without that. Each Fastpass is booked for a specific person and only that person can use it. To book your Fastpasses you’ll need to know when you’re booking window opens up and ideally, be ready to get them right away (Fastpasses open up at 7 am EST on the day of your booking window). When you can begin getting Fastpasses depends on where you stay. Disney, of course, wants you to stay at their hotels so they’re going to give you incentives to do that. That means that if you stay with Disney (called “on-site”) you get to book Fastpasses earlier than someone who doesn’t. If you stay in a Disney hotel you get to book Fastpasses at 60 days. If you stay anywhere else your Fastpass booking begins at 30 days. So, we can get three Fastpasses a day. We’re going to take your top 8 list and try hard to get Fastpasses for three of them. Using the above list of longest wait times, start at the top with Mine Train and Peter Pan being top priority, and so on. So, let’s assume that out of your TOP 8 must do’s you’ve got Fastpasses for three of them. Now we’re going to get the rest of them at Rope Drop and within the first few hours of the park being open. Before we explain that, you need to understand Disney’s opening procedure and park hours. First thing you need to understand is that the listed park hours are rarely ever the actual hours. Disney Parks almost always open earlier than the listed opening time (and also close later than the closing time). The listed park hours are only the times when the attractions will be running that day. They are not the times you can enter and exit the park. Here’s how it works: whatever the published opening time is, they will let you inside the park earlier. For Magic Kingdom, it’s at least one hour earlier. You’ll be able to scan your ticket and enter the park. On a typically opening of 9 am you’ll be allowed inside between 7:45 and 8 am. Most days I’ve tested it’s been right at 7:45, making this an hour and 15 minutes before official opening time. Being able to enter the park an hour early is open to everyone, not just Disney resort guests. You don’t need a dining reservation or any special ticket or pass. This isn’t the Extra Magic hours resort guests have. Getting in before the rides start running is available to everyone. Once you enter Magic Kingdom, you’ll have a set area that you’re allowed to freely roam until the park actually opens. For Magic Kingdom this is all of Main Street and the castle hub. This means you can shop, go to Starbucks, take Photopass photos, etc. All of Main Street and the area in front of the castle is open and running. Just entered the park and it’s 7:45 am! Headed to Rope Drop! But, if you’re smart, you won’t do those things. You’ll head straight to Rope Drop. Rope drop is a term used often in Disney planning. It’s a strategy of arriving (very) early and being among the first people to get to certain attractions when they open. Let’s talk about how this works. As I said, you are allowed into the park at least one hour prior to opening time. You have all of Main Street and the castle area to roam but you can’t get into any of the lands. They will set up ropes at each pathway blocking access until the park officially opens. When the rope “drops” the park is open. They will do a little welcome show at the castle stage five minutes before opening time. But you’ll want tohead towards one of these roped paths. This is because lines will begin to form at these ropes that will eventually get quite long as people queue up waiting to head to the attractions. There are five different roped off paths to choose from and each of these leads to a different land. Which roped off pathway you choose will depend on which ride you want to do first. Remember your TOP 8 must do list? Since you (hopefully) got Fastpasses for three of them, we’re going to do the other five between Rope Drop and the first few hours of park opening starting with whatever gets the longest waits (refer to the above list). Here’s a map of all the rope locations. Choose the one that will get you closest to the ride you want to start with. TIP: If Mine Train is on your Top 8 list and you don’t have a Fastpass for it, then always choose this attraction for rope drop. It gets the longest waits in the entire park by far. You should aim for entering the park between 7:45-8:00 am. That will make you among the first groups of people to enter. Over the next hour, people will begin to queue up near the ropes areas or in front of the castle. Each roped area marked in the map above will gather a group of people in front of it waiting to enter. Your goal should be to get the closest to the front of this rope as you can. The picture above is what the Mine Train rope location was like if you got in the park right at 7:45 and basically headed straight there. Those that are in the front will be the first group to enter that land, and the first to enter an attraction. Doing this will ensure you are able to ride your first ride of the day with less than a five-minute wait. So you definitely want to use this to knock out something with longer waits. Closer to 8am (arrow shows the end of the group) and more people are starting to fill in but still not bad. In the picture above you’ll see what the roped area looked like arriving at 7:55 and then at 8:55 in the picture below. Being at the back of this group of people will mean a 30-minute wait for Mine Train vs a 5-minute walk-on wait being at the front. Even 30 minutes isn’t a bad wait time for Main Train, but we want to maximize every minute of this early morning arrival. Lines over the next hour will continue to climb, and if we can get our first ride done very quickly, we’ll still have time to get another ride or two in before the lines pick up. You can also see how you would have arrived a little before 9 am thinking you were early and seeing throngs of people in front of you already there. And now you see what an advantage there is to arrive early before the park opens. So we’ve queued up at the rope closest to our first attraction, we get in right at 9 am and head straight there and ride. As soon as you finish your first attraction head to your second one. If you do this right, you’ll get at least two popular rides done by 10 am if not sooner. On the last day I tested this I rode the two longest wait time attractions before 10 am, Mine Train and Peter Pan. Those are big ones to get done with minimal waits. As it approaches one hour after park opening, (10 am assuming it’s a 9 am opening) you’ll see lines are just starting to get a bit longer as all those people who aimed for arriving at the park at the 9 am opening time finally got into the park and fought through a crowded Main Street to arrive at the attractions. At 9:50 am Space Mountain stand by wait was 35 minutes. With Fastpass I walked right on. Now you start on your first Fastpass. This is why we don’t want to book our Fastpasses for the first hour of the park, so we can use that rope drop time first. Then once people start to fill in and lines get longer, we’ll move on to our Fastpasses. Since you can only book one Fastpass an hour, (meaning the time windows can’t overlap) we’ll have time in between our three Fastpasses to fill in with the other rides on our Top 8 list. Now you can be more practical with what rides you do, concentrating on riding them as you reach them, to avoid walking more than you need to. You schedule may look something like this one which I tested out recently on a very crowded day during Spring Break. This was the worst case scenario, as I wanted to test making this work with high crowds and not the best Fastpasses. Ideally, you’ll have Fastpasses for Mine Train and/or Peter Pan. But the only way you’ll probably get those is if you can book as early as possible. If you weren’t able to get them don’t worry! You can see even on a super crowded day I still was able to fit in the top 8 busiest rides by 2 pm with minimal waiting and even got a lunch break. If you’d like to see a video version of this day, I took people along with me during the whole process! I’ve got that saved over on my Instagram here. Note: If at any time you reach an attraction on your list that you don’t have a Fastpass for, and the wait is pretty long, you can consider skipping it and trying to get a Fastpass for it later in the day. Jungle Cruise can sometimes get really long waits right away, but is usually not a top three Fastpass choice. So consider coming back for this one at night when the line drops. Remember after your first three Fastpasses are used (or the time window’s expired) you are able to book two more. While you’re limited to what’s available on the same day, there are still many attractions that you’ll be able to get at this point. I suggest leaving the park for the afternoon to rest up from your early morning and return that night. If you opt for this strategy, schedule your 4th and 5th Fastpass for the evening. At this point it’s afternoon and you should have your top 8 rides done or close to it. But you’ve been going pretty hard at this since early morning. Now the park is really filling up, and it’s likely getting hot and everyone is feeling beat. This is the time to make the most strategic move and quit while you’re ahead. Head out of the park and go back to your hotel to rest up. Take a nap, swim in the pool, and just catch up on some rest. While you’re doing that, you can try to grab those two extra Fastpasses for the evening. Head back to the park in the evening feeling refreshed and ready to go. Use your two Fastpasses and catch whatever rides and entertainment you want to see. Keep the pace slower since you’ll already have done all those big rides, this time is for enjoying the magic and being spontaneous with your time. Enjoy the fireworks and the projection show. Grab a treat. Wait for crowds to filter out after the fireworks and people watch everyone as they frantically line up for the exit. Then head home yourself when you’re ready. You’ve done so much today! You should feel proud because you’re officially a Disney PRO. Sign up for my weekly emails! I keep up with all the latest WDW news so you don’t have to. I personally write an email to my audience each week listing any news that came out that week. And the best part is it’s totally free! Get on my list now and let’s connect! Follow me on Instagram as I take you with me on my park visits each week. There’s no better way to see what’s happening in Disney World right now.